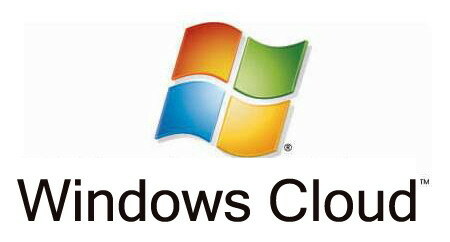 There are rumours on the web suggesting Microsoft could be working on a web-only version called Windows Cloud. I will try and explain how that could work. An online version of Microsoft Windows OS, that would store most of the tools in the ‘Cloud”. It’s all just rumours at the moment, but the Russian blogger WZor who leaked the information has a good track record of Windows scoops, like the accurate screenshot of Windows 8.1 update. How would Windows Cloud work? Rumours have suggested Windows Cloud would be in two parts, one part would be stored on your PCs hard drive like normal and would contain all the data needed to boot your PC. The second part would be stored in the cloud, and hold your account details and settings. Would it be similar to Chrome OS? Hasn’t Microsoft criticised Chrome OS? In November last year Microsoft posted an online video that mocked the limited potential of the cromebook, which was part of their anti-Google campaign “Scroogled”. In the video the Pawn-shop owner examines the Chromebook and then goes on to say “When you’re not connected to the internet, it’s pretty much a brick”. Google should be flattered though as Microsoft would only attack something they consider a serious rival. Ironically In April Microsoft added Office Online apps to Google’s Chrome Web Store, which provided shortcuts to Microsoft’s apps for people using Chromebooks. That Microsoft is keen to get more people to use their cloud services, no mater what device they have. In February Satya Nadella held his first press briefing as CEO, “Mobile-first, cloud-first world” (www.snipca.com/11929) in it he stressed how he wanted to make Windows available from virtually anywhere, because people are “not bound, to one device or one place anymore”. So how accurate are the rumours? It’s hard to say, but analysts have agreed Windows Cloud would make sense. Editor Max Cooter at cloud-computing website Cloud Pro (www.cloudpro.co.uk) thinks Windows Cloud is “very likely” to appear, and that it will be “radical with some genuinely innovative features”. But he also goes on to say that it may not appear anytime soon: “Microsoft has a history of their products taking longer than expected to develop”. Other experts have pointed out Windows Cloud would be a sensible way to target the growing number of people that use their phones and tablets. I would have to agree with these views. The top dogs at Microsoft have realised by adding web-based versions of Windows could be the key to the operating systems survival, But I don’t expect an announcement anytime soon. This entry was posted in What's The Fuss About? and tagged Chrome OS, Cloud, Microsoft, Windows. Bookmark the permalink.